Burberry set a precedent for fashion brands in 2011 when it used Twitter to share a live-stream of its spring/summer 2012 collection. On Sunday, mens fashion designer J.W. Anderson made similar waves by presenting his fall 2016 mens collection using a mobile app exclusively for men. Grindr is a popular mobile networking app for men who like men, instead of using the app to drive his clientele to an experience, J.W. Anderson brought the show to his core consumers. When J.W. Anderson’s collection hit the runway in London on Sunday morning, it appeared on Grindr as well. 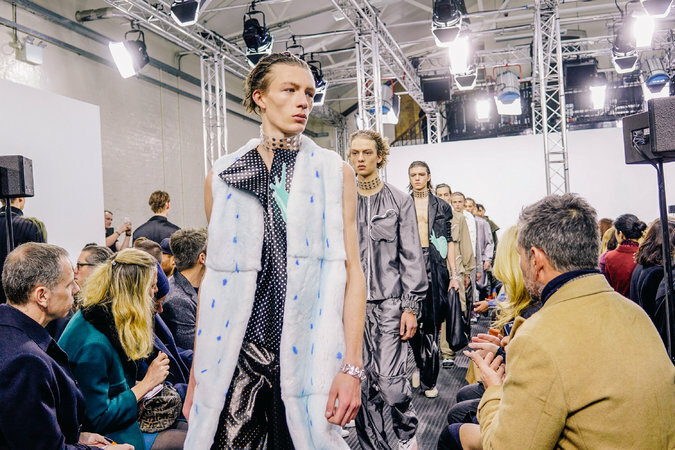 App users were surprised to with a live-stream of male models marching down a runway wearing Anderson’s whimsical collection of over-sized furs, knitwear and silk decorated by snail and floral motifs. According to Grindr data, the show was watched 100,000 times during the 24 hours that it was avaialble on the app. Much like Burberry made fashion show live-streams table steaks in 2011, J.W. Anderson pushed the envelop by reaching its core audience where they spend their time, regardless of what surrounded it. As content on traditional platforms struggle for visibility in the digital clutter, look for brands to micro-target their audiences in surprising digital environments. This week, Snapchat announced that it will shutter its popular lens store on Friday. Only open for two months, the lens store sold tens of thousands of $.099 lenses every day, according to Snapchat. The platform reports 10 millions lenses are used daily, creating confusion as to why a store for the popular feature is winding down. One reason may be that Snapchat began as a simple platform that allowed users to share content discreetly, with a select audience, for a limited amount of time. Features such as Discover and Live added layers to the platform which complicate the user experience, moving Snapchat away from its streamline roots. The lens store closing may be an attempt to correct the shift. A more compelling reason for closing the store is that Snapchat charges brands between $450,000 and $750,000 per day for a sponsored lens. If a Snapchat user can buy a lens of his choice for $0.99, own it and reuse it indefinitely, he may be less likely to browse new sponsored ads. 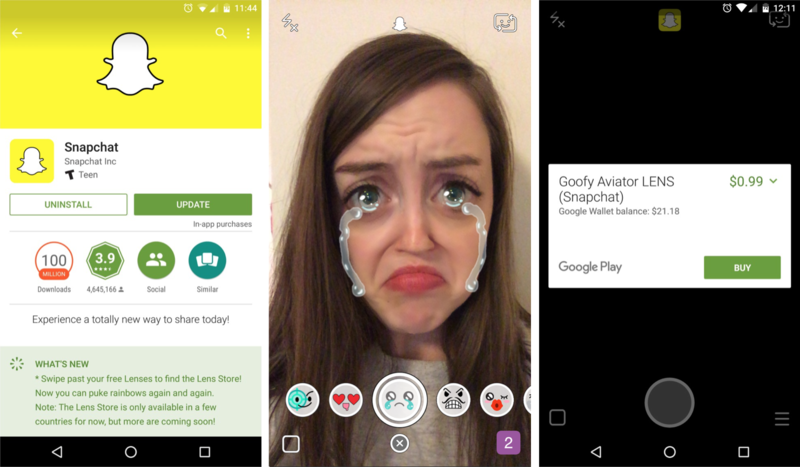 This behavior may drive down the use of sponsored lenses, a key revenue stream for Snapchat. Closing the lens store homes content augmentation back to the prerogative of brands and Snapchat’s editorial team. This indicates the platform’s commitment to maintaining a friendly digital environment for brands and that new features will be designed with advertising dollars in mind. Pinterest’s Buyable Pins , Now for the Thrifty! 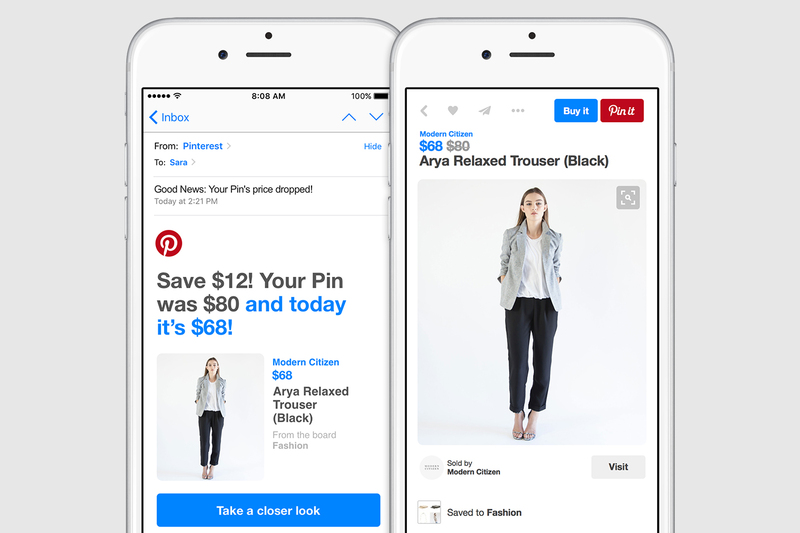 Pinterest has updated its buyable pin units to alert users when the price drops. Like an abandoned cart notification, Pinterest now alerts users who expressed interest in an item reminding them to transact. Pinterest already curates items that are on sale in a dedicated board that is ideal for the bargain hunter. This is a boon for brands whose items could be forgotten once they are pinned by a user. The discount notification is another opportunity to engage with users already in the purchase funnel.